Plus le temps passe et plus nous avons la conviction profonde que Nat King Cole est un artiste inégalable et inoubliable dans tous les domaines dans lesquels il a exercé son immense talent. Le velours de sa voix reste insurpassable, on en a ici de magnifiques exemples : For Sentimental Reasons en trio, A Portrait Of Jenny avec orchestre à cordes, deux plages prises au hasard, ou presque, parmi vingt-deux pièces extrêmement diverses gravées à l’âge d’or du « King », entre 1943 et 1951. Comme est inimitable le « swing » qu’il donne, sans effort apparent, à chaque syllabe de chaque mot – I’ve Got A Way With Women, That’s My Girl, encore deux exemples éloquents de l’art du chanteur, chanteur « de jazz » tout autant que chanteur « de charme », une expression qui s’appliquait naguère à des guimauves aujourd’hui peu appétissantes. Nat King Cole, enfin, immense pianiste, et seulement pianiste dans deux œuvres étonnantes, Cole Capers et Bop Kick, tandis que partout ailleurs, à l’exception de Walking My Baby Back Home, il s’accompagne avec un à-propos infaillible, quand il ne joue pas de trop courts solos qui sont autant de moments de lumière, de grâce et d’élégance. 1.This is my night to dream02:21 (Burke Johnny/Monaco James - Burke Johnny/Monaco James) The Nat King Cole Trio: Nat King Cole (voc, p), Oscar Moore (g), Johnny Miller (b)..
2.For sentimental reasons02:52 (Best William/Watson I.Deak - Best William/watson I. Deak) same as 1. 3.I've got a way with women02:45 (Alfred Roy/Silver Abner/Wise Fred - Alfred Roy/Silver Abner/Wise Fred) Nat King Cole (voc, p), Irving Ashby (g), Johnny Miller (b)..
4.I'll string along with you03:10 (Warren Harry/Dubin Al - Warren Harry/Dubin Al) same as 1. 5.Walking my baby back home02:37 (Alhert Fred E./Turk Roy - Alhert Fred E./Turk Roy) Nat King Cole (voc) with Billy May and His Orchestra. 6.Portrait of Jennie03:05 (Robinson Russell J./Burdge Gordon - Robinson Russell/Burdge Gordon) Nat King Cole (voc, p), Irving Ashby (g), Joe Comfort (b), with strings arranged by Carlyle Hall..
7.If you can't smile and say yes03:03 (Rogers Timmie - Rogers Timmie) same as 1. 8.Cole Capers01:53 (Cole Nat King - Cole Nat King) Nat King Cole (p), Oscar Moore (g), Johnny Miller (b)..
9.What can I say after I say I'm sorry ?01:59 (Donaldson Walter/Lyman Abe - Donaldson Walter/Lyman Abe) same as 1. 10.I used to love you02:58 (Von Tizer Albert/Brown Lew - Von Tizer Albert/Brown Lew) Nat King Cole (voc, p), Irving Ashby (g), Joe Comfort (b), Jack Costanzo (bgos, cgas)..
11.If I had you03:00 (Shapiro Ted/Connelly Reginald.Campbell James - Shapiro Ted/Connelly Reginald.Campbell James) same as 3. 12.I'm in the mood for love03:09 (Fields Dorothy - McHugh Jimmy) same as 1. 13.Deed I do02:14 (Rose Fred/Hirsch Walter - Rose Fred/Hirsch Walter) same as 10. 14.Don't blame me03:22 (McHugh Jimmy/Fields Dorothy - McHugh Jimmy/Fields Dorothy) same as 1. 15.Orange colored sky02:30 (Delugg Milton/Stein William - Delugg Milton/Stein William) same as 5. 16.On the sunny side of the street02:59 (McHugh Jimmy/Fields Dorothy - McHugh Jimmy/Fields Dorothy) same as 1. 17.Bop Kick02:34 (Cole Nat King - Cole Nat King) Nat King Cole (p), Irving Ashby (g), Joe Comfort (b), Jack Costanzo (bgos, cgas). 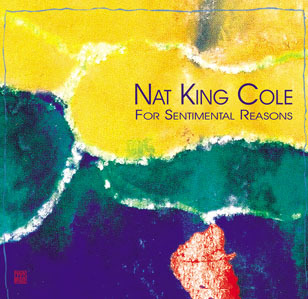 18.I'm an errand boy for rhythm02:17 (Cole Nat King - Cole Nat King) same as 1. 19.That's my girl02:19 (Ellington Ray/Tobias Barbara - Ellington Ray/Tobias Barbara) Nat King Cole (p), Irving Ashby (g), Joe Comfort (b), with orchestra conducted and arranged by Pete Rugolo . 20.You're the cream in my coffee02:25 (Henderson Ray/Brown Lew/Desylva B.G. - Henderson Ray/Brown Lew/Desylva B.G.) same as 1. 21.It's only a paper moon02:52 (Arlen Harold/Rose Billy/Harburg E.Y. - Arlen Harold/Rose Billy/Harburg E.Y.) same as 1.